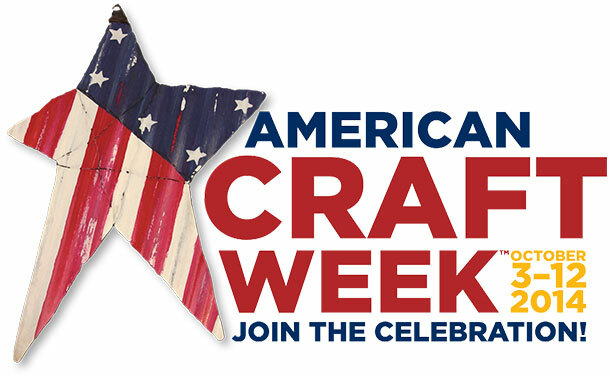 American Craft Week Celebrated Its Fifth Anniversary (among other notable firsts)! Sometimes big ideas stay just that and never take flight into something real and tangible. American Craft Week (ACW) is one of those big ideas that became real in a big way and five years after its inception, it just keeps growing. This year ACW included more than 1,000 events and saw participation in all 50 states and even one nation-wide event. Stephanie Moore, executive director of the Center for Craft, Creativity and Design in Asheville, N.C., explains ACW this way, ''We have to do it--this is our tribe!" Participation is open to anyone who wants to support American craft. All are welcome to participate--from galleries, festivals, artistes' studios, guilds, to art centers, museums and more. Each year ACW continues to evolve. This year ACW's efforts were focused on demonstrating how important craft can be to a cultural tourism strategy and how it can build both a sense of both place and community. To assist in that strategy, ACW conducted a Kickstarter campaign so a Culture Tourism Kit could be designed, produced, and distributed to community leaders and organizations to help them plan their own celebrations. 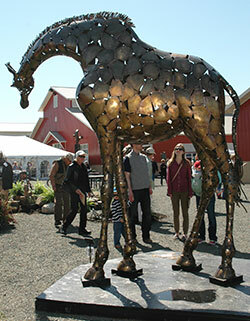 This 13' tall bronze giraffe is by sculptor Chris Williams at the Paradise City Arts Festival in Northampton, MA, which has been a proud participant and sponsor of ACW since its beginning. 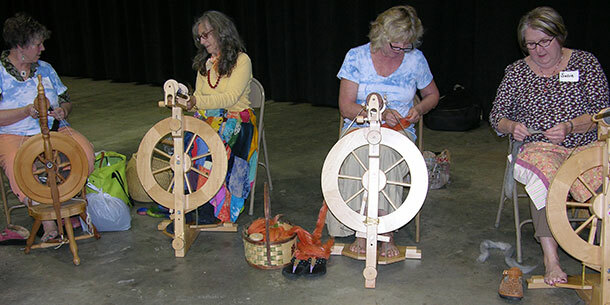 This is a part of a team in Asheville, N.C., participating in ''Spinzilla,'' ACW's first nationwide event. Teams of spinners across the country challenged each other in a friendly competition to spin the most yarn. Blacksmith, William Rogers, doing a metalwork demonstration with students in Cullowhee, N.C.
One such artist, Alex Moyer, the northern California owner of The Pot Shop, first learned of American Craft Week in the pages of The Crafts Report. She figured a one-studio event wouldn't have much of an impact, so she created a county-wide celebration. Now in its fourth year, Mendocino County has about 35 businesses hosting 70 craft artists throughout the region. "It has been a great experience to be part of something much bigger than my own open studio," Moyer says. "I've gotten to know both artists and business owners in my county through organizing our local event. Working with Diane Sulg (co-chair of American Craft Week) and the other women on the national committee has been both educational and motivating to spur me on to keep improving our local celebration." Jennifer Raines, a Virginia gallery owner (Quirks of Art), has also played a significant part in moving the American Craft Week needle, especially in Virginia, with events like the Williamsburg Gallery Crawl and Art and Soul: Vintage Voices. Upon finding out about the group, she knew she had to be part of it. "My business has been enthusiastically promoting American craft for 17 years," she says. "Even until recently the term, 'American craft' was largely misunderstood, so I wanted to do whatever I could to help promote such a worthy industry and the amazing people that it comprises." Involved from year one, Raines jumped at the opportunity to participate in the steering committee when offered in the fifth year of American Craft week. 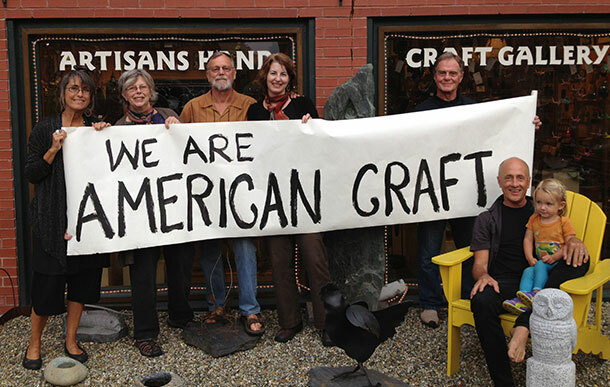 The staff of the Artisans Hand Craft Gallery in Montpelier, Vt., showing its spirit for American Craft Week. This year marked some notable firsts for American Craft Week, including its first official state event--Vermont Celebrates American Craft Week--and support from two other states, Virginia and Maine as well. This year also brought in a record number of entries into the annual ACW contents. "We are very pleased that public support for ACW is growing!" Sulg says. Ceramic frogs by ceramic artist, Alexis Moyer, whose studio is The Pot Shop in Philo, Calif. Moyer is also the founder of the large ACW celebration, called the Mendocino County Celebrates American Craft Week. 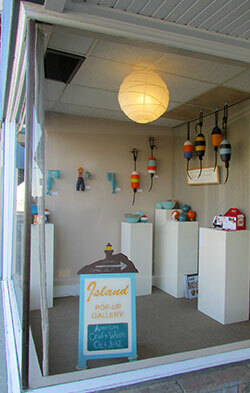 Pictured here is the ACW Pop-Up Gallery, featuring the glass work of artist, Erika Kohr Island, in Fort Bragg, Calif.
American Craft Week seems to be taking on a momentum all its own, in fact. Sulg explains how there is growing energy and excitement around the week, as well as more identification with it. ''People are using our logo on their websites and printed materials and at their events. They have created special Facebook cover photos and created window displays featuring ACW. 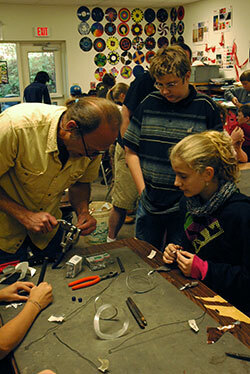 Overall, ACW has engendered camaraderie in the craft world!'' Sulg says. Sulg invites more craftspeople and craft businesses to join in the movement for 2015, as it's a ''great opportunity to work together and get to know other people in our industry,'' she says, adding that participants can leverage the week to attract visitors to their galleries and studios while feeling like they are part of something bigger. Craftspeople and craft businesses have found this ACW a great opportunity to work together and get to know other people in our industry. They can attract visitors to their galleries and studios, and have the feeling they are a part of something big. ''This is our chance to show that handmade craft is beautiful and enduring, that it is well-designed, and made from exceptional materials with incredible craftsmanship. This is a nationwide opportunity for the 'creative economy' to blow its own horn, and after all, if we don't do it, who will?'' Sulg asks. Zeber-Martell Clay Studio and Gallery in Akron, Ohio, asked customers to trade-in their mass-produced mug (which went to charity) and for $20, they received handmade mugs produced there. 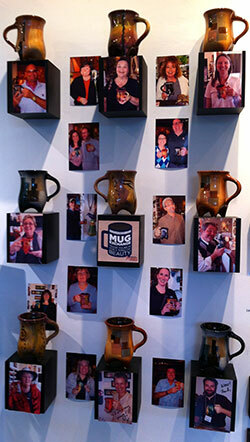 This wall in the shop showed the happy customers with their new mugs.